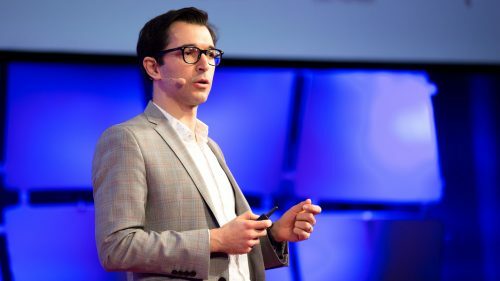 In June 2018, Iyad Rahwan, PhD from the University of Melbourne, Australia, and an affiliate faculty at the MIT Institute of Data, Systems, and Society, took part in a discussion at EmTech about which skills will be most valuable in the new era. The talk focused on the changes AI and automation will bring about in the workforce. It is difficult to predict which risks will come to fruition in the future, as different researchers have argued for different outcomes and their data offer different findings. But it’s certain that there will be changes in jobs and salaries, and consequently it is necessary for people to be able navigate possible career transitions as AI advances. To understand more about the relationship between jobs and skills, a study was done on 700 job categories classified by Department of Labor and 200 skill categories, producing a network of skills for each category of job. Skill polarization separates socio-cognitive skills including social, analytical, managerial skills, etc. (on the left) from sensory-physical skills including sensory, physical, psychomotor (on the right) The map given by Iyad Rahwan suggests that skill polarization underlies job polarization. In term of jobs, there are two branches: cognitive job and physical jobs, types of jobs are on one side of the two islands on the map. As there’s often little connection between these branches, people can’t easily move from one to the other, as well as from lower-skilled portion to higher-skilled portion of the map. When the time comes, it will be easier for people with cognitive skills: analytic, programing… but workers who has set of sensory skills will likely need to pursue additional education to be competitive in the labor market. Prof. Iyad Rahwan then emphasized the importance of education since the more people learn the more they progress in their career. The work presented by Iyad Rahwan showed potential in predicting temporal changes to occupational skill requirements and even how the skills of entire urban labor markets evolve over time. As a result, this insight demonstrates how workplace skills underlie the US economy and suggests the possible retraining programs for workers. It also points to policies aimed at maintaining employment opportunities as economic competition increases under globalization and automation. Iyad Rahwan is an associate professor at the MIT Media Lab and a fellow of the Michael Dukakis Leadership Fellow Program, which was established as an effort of the MDI to enrich the participants’ leadership competency and integrity and to engage youth in the promotion of peace and world security. Last year, Prof. Iyad Rahwan had a discussion with Gorvernor Michael Dukakis on the need for standards and norms to advance the peaceful development of AI—a view shared by AIWS, the BGF, the MDI and this brilliant young researcher. Which ethics should AI follow?